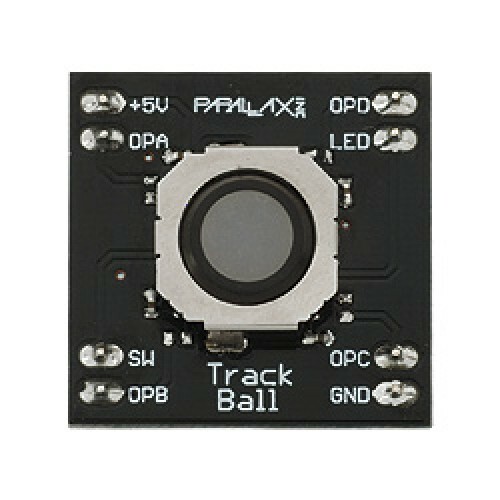 Add a fun human interface component to your projects with the Trackball Module. Similar to the trackball found on many smart phones, this sensor is easily portable and can be used to replace a mouse in many applications. The Trackball Module comes with a built in center select switch and a red LED which can be programmed to light up the trackball when desired.